Simon practices in Personal Injury and Clinical Negligence, Inquests, Accidents Abroad, and Court of Protection. In 2016 he was Made in Manchester’s “Lawyer of the Year”, having been appointed a Deputy District Judge in 2015 sitting on Civil cases in the North West, and becoming a member of the Government Legal Department provincial panel of counsel. He represents both claimants and defendants in equal measure on cases in the Multi track and frequently with a value of £250,000 or those with significant complexity, and where jurisdiction is challenged. Simon read Law at Cambridge University (Girton College) and was called to the Bar by Inner Temple in 2008, having obtained an Outstanding grade on the BVC at Manchester Metropolitan University. Simon’s practice covers all areas of personal injury work, acting for claimants and defendants including claims arising from road traffic accidents, accidents at work, public and occupiers’ liability accidents, and highway accidents. He has experience of handling high value and complex claims involving multiple experts both in conference and at trial. Simon’s technical ability sees him regularly retained on cases where jurisdiction is challenged, both on domestic and international matters. He also advises in cases involving claims of exaggeration, fraud and dishonesty mainly for defendant solicitors and insurers. 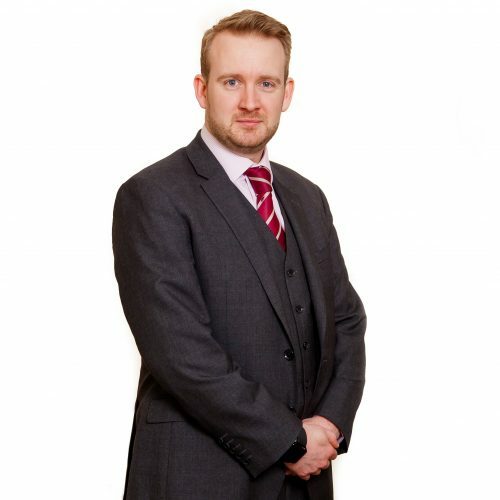 A significant part of Simon’s practice is Clinical Negligence claims and his experience to date has seen him advise and represent clients in the following types of claims, from pleadings, interlocutory hearings, CCMCs and trial. Cosmetic surgery; failure to diagnose cancer; delay in diagnosis of multiple sclerosis; failure to provide antibiotic cover during an operation; fatal accident claims – death following surgery and delayed diagnosis; consent (so called Montgomery cases) and recently birth injury claims including acting for the claimant in a claim where the child suffered shoulder dystocia. With the experience he has in the Coronial courts, Simon is often called upon to handle fatal accident cases and runs these from the inquest through to the resultant civil action. He has a particular interest in claims involving accidents abroad (whether road traffic accidents, accidents at work, accidents during holiday excursions and public liability accidents) involving arguments as to jurisdiction under the Brussels I Regulation, and choice of law under the Rome II Regulation. He has conducted hearings in the English courts applying the law of other EU Member States and non-EU countries. Simon regularly provides lectures and training sessions in all areas of travel law. Allen v Jet2.com: Represented the Claimant in a test case which could benefit thousands of passengers with flight delay compensation claims. Lewis v Thomas Cook: Represented the Claimants in a successful appeal against the decision not to grant them compensation following their plane being impounded. Simon is regularly instructed on behalf of families, medical professionals, care homes, employers and other interested persons to advise and appear at inquests and pre-inquest reviews. He has appeared at inquests concerning road traffic accidents, accidents at work, industrial diseases and medical treatment. Detained in prisons, whether run by HM Prison Service or private companies. Detained in psychiatric units or other medical facilities under the Mental Health Act 1983. Informal patients in such facilities. Who have died as a result of police actions, for example those involving firearms officers. Who have died as a result of serious and systematic errors on the part of the NHS or other healthcare providers. Represented a family at the inquest of Craig Jones who died when he tried to escape from a lift after it broke down between floors. This inquest was reported in the Bolton News. Acted for the family of Kristian Thompson in High Court proceedings. The case was covered in the BBC News. Represented a family at the inquest of Lee Ridgway who committed suicide hours after leaving Stepping Hill Hospital. This was report in the Manchester Evening News. Inquest re VM: Representing the family of a prisoner with mental health problems and learning difficulties, who killed himself after being moved to a single occupancy cell. Inquest re KQ: Representing the family of a prisoner with a known heart condition, who died following the failure to diagnose a cardiac issue despite complaints of chest pain and an abnormal ECG. Inquest re AW: Representing the family of a prisoner who killed himself following warnings made by his family to prison staff that he had threatened to do so. Inquest re LH: Representing the family of a young woman who killed herself whilst she was an informal patient at a psychiatric unit. The scope of the inquest included consideration of the powers of detention under the Mental Health Act 1983 in light of the Supreme Court’s decision in Rabone. Inquest re BH: Representing the family of a man who killed himself during an operation by police firearms officers following the shooting of a police officer. Inquest re NW: Representing the family of an elderly, insulin-dependent lady who died when a district nurse gave her a 10 times overdose of insulin. It was successfully argued that the matter should be referred to the CPS for reconsideration of manslaughter charges. Inquest re TFD: Representing a paediatric registrar in relation to the death of a young boy with an undiagnosed, congenital heart defect. The inquest involved the challenging of decisions by way of judicial review and subsequent arguments regarding the duty of disclosure under the Coroners and Justice Act 2009. Inquest re VB: Representing staff at a care home in which an elderly resident died after choking on cake kept in an unsecured storage area. Inquest re JR: Representing staff at a care home in an inquest concerning an unexplained finding of opiate medication during the post-mortem of a resident. Inquest re RS: Representing the family of a care home resident who died following a fall while he was not being supervised. Simon joins the COP group with considerable experience in coronial law. As part of his inquests practice, Simon frequently represents families of those who have died in state detention, including those in psychiatric detention. This has required a practical understanding of the Mental Health Act 1983 and the operation of the Mental Capacity Act 2005. These have included cases where the question of a patient’s capacity, and the suitability/qualification for detention under sections 2, 3, 136 and 137 have been central. He has also been instructed to deal with section 21A challenges to DOL authorisations. He also has personal experience of the COP procedures in relation to financial deputies.